The much higher priced P20 Pro has been released, and comes with plenty of high specs and a decent design too. This Pro version has been classed a mega-phone, a very expensive phone that is crammed with new tech and incorporates plenty of features not seen on lower priced versions. Other rivals to this are smartphones like the iPhone X and Galaxy S9 Plus. The camera on the P20 Pro is truly something else, and will most likely be a big reason for purchase of the device. The design is made up of a highly reflective glass finish which looks very smart, if not a bit slippery. It stands out from the crowd very much, and consists front and back of Gorilla Glass that give it a decent amount of protection from those inevitable drops. The glass front and back have an aluminium surround, with a polished finish giving it a steel look. As we saw with the P20, the Pro has a notch at the top of the screen – smaller than the one seen on the iPhone X due to it packing less necessary tech inside. You will also not be surprised to see no headphone jack here either, as many phones are abandoning the traditional headphones for Bluetooth versions now. For security of the phone, Huawei has a fingerprint scanner below the display and also a facial recognition system. Their face unlock is very impressive, even though it doesn’t use the clever IR techniques like the iPhone X – it instead reads the high-res feed from the front camera to recognize your face, and generally works every time. As for the screen, the P20 Pro packs a 6.1-inch 1080x2244 AMOLED display with a wider 18.7:9 aspect ratio which doesn’t follow the 18:9 trend most other high end devices are conforming to. This is an excellent display nonetheless, and even though it doesn’t come close to the Galaxy S9 Plus’ 529ppi with only 408ppi, it does still perform at a very good level. The blacks are perfect and there is minimal blue cast when the phone is at a tilt. The battery life is exceptional on the P20 Pro, with it being able to last a day and a half, even up to 2 days. This is helped with a 4,000mAh battery, which is plenty more than the 500mAh one found in the Galaxy S9 Plus. With fast charging on this phone, you can go from 0% to 100% in just 1 hour 24 minutes – this is something you will struggle to find on other handsets. Now for the camera, all three of them, there is an ultra high resolution 40MP sensor, a 20MP black and white sensor (for help with processing and helps decrease image noise while improving dynamic range), and an 8MP sensor that will allow zooming into a scene without using a digital zoom function. All of this does allow shots of 40MP, with very impressive results. Video can be shot in 4K resolution, however there is no image stabilisation available so it can be better to shoot in 1080p mostly. Shooting in 1080p uses software stabilisation that is extremely effective, making even a run while recording look very stable. The Huawei P20 Pro comes with their own EMUI 8.1 overlaying the Android Oreo 8.1, and looks as you’d expect like other similar android devices. It is powered by a Kirin 970 chipset, the same found in the Huawei Mate 10 Pro released at the end of 2017. Power wise it doesn’t quite match up to the Galaxy S9 Plus, but with fewer pixels to power the differences on the user experience aren’t huge. 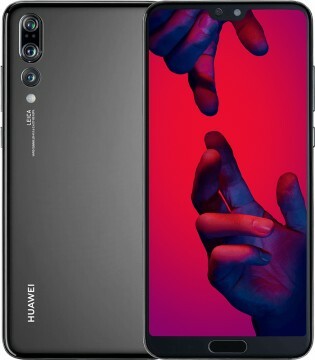 Overall it is a superb handset, with photo taking capabilities that are effectively unmatched and is also in its own right a very smart looking phone. It does perform very well in the other areas beside the camera, and will comfortably deal with any task given, and quickly. Also the incredible battery life is certainly attractive. This is a cheaper alternative to the iPhone X and Galaxy S9 Plus, and a very good one.